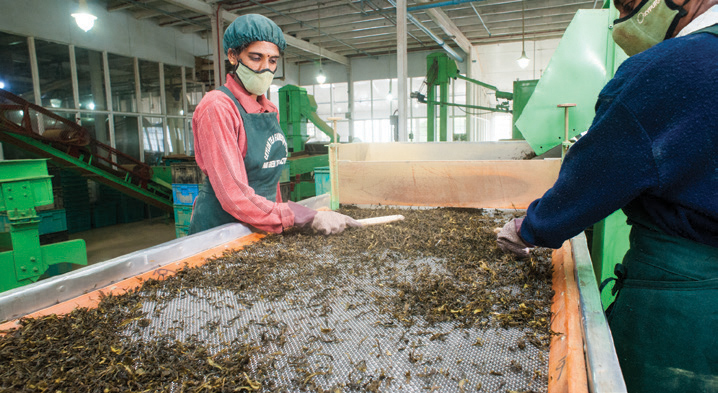 The freshly plucked two leaf and bud is weighed, picked over and gently packed into plastic creates to protect the leaf as it is transported to Dilmah’s Park Green Tea factory, located at an elevation of 6500 feet above sea level, on the southern slopes of the Pidurutalagala massif. 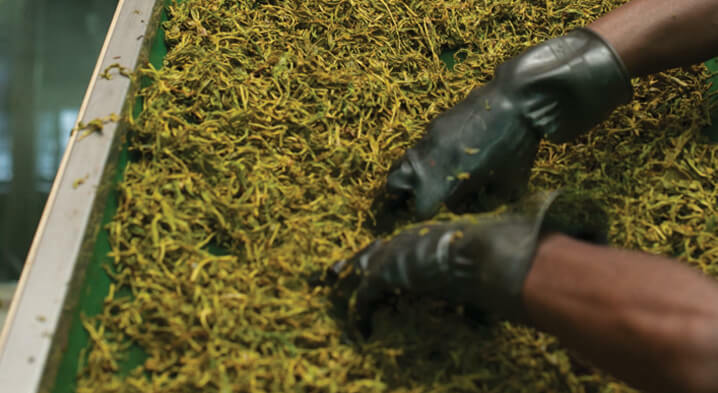 Once there the handpicked leaves are sorted again to ensure that they consist of only the two leaf and bud combination. 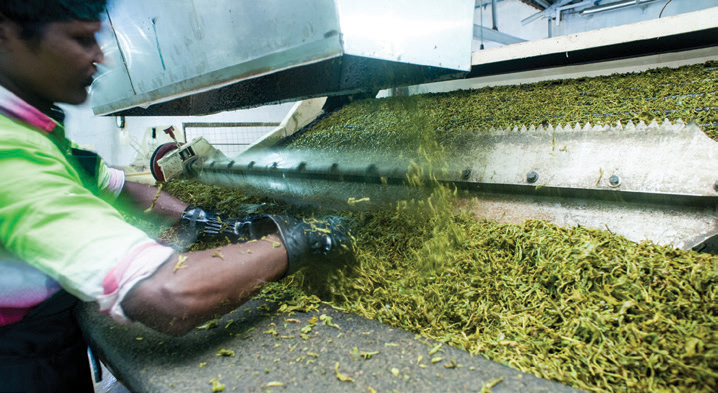 The leaf is thereafter seamed with a brief traverse through the pre-drier to arrest any further chemical action in the leaf which is then allowed to dry for about 16 hours in the trough. It is gently fanned by cold, dry, ambient air until it dries sufficiently for the firing process. The tea is then sifted and graded. Tea particles are separated according to shape and size by being passed through a series of progressively finer meshes. 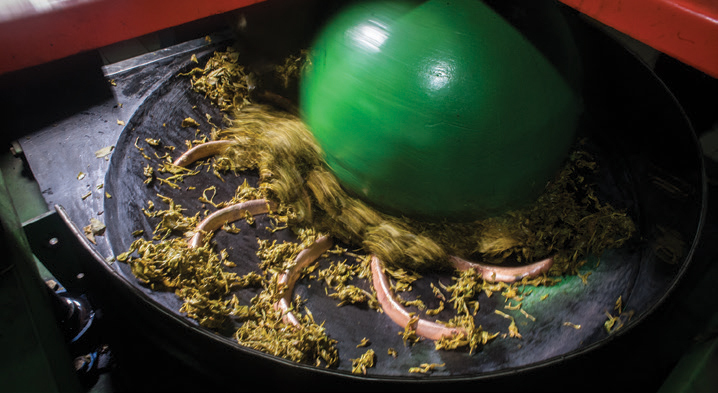 The main grades are Leaf and Broken grades with the former consisting of larger and longer particles, yielding a light liquor, whilst the smaller particles produce darker and stronger liquors. 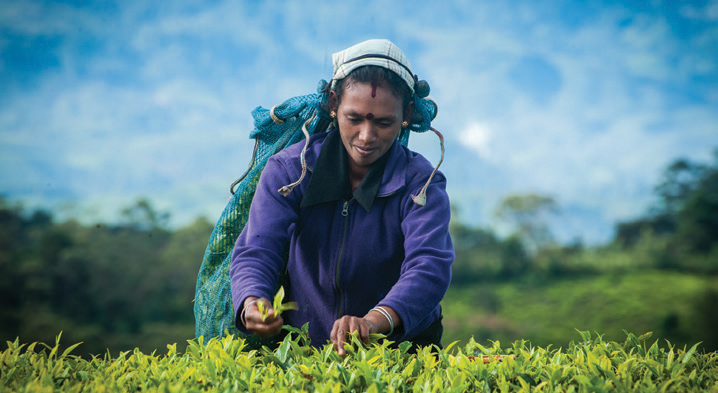 The tea is tasted to assess its strength, flavour and aroma. 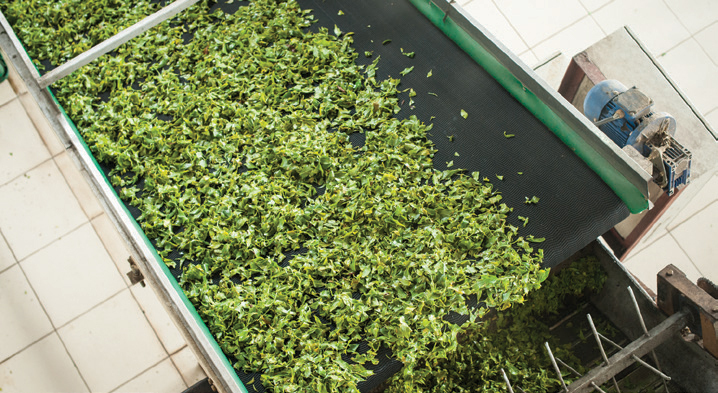 In the case of Chinese green tea, the fermentation process is stopped by either exposing the leaves to sunlight or applying warm air to the leaves and then pan-frying the leaves to stop all further processes. Oolong tea is semi-fermented. 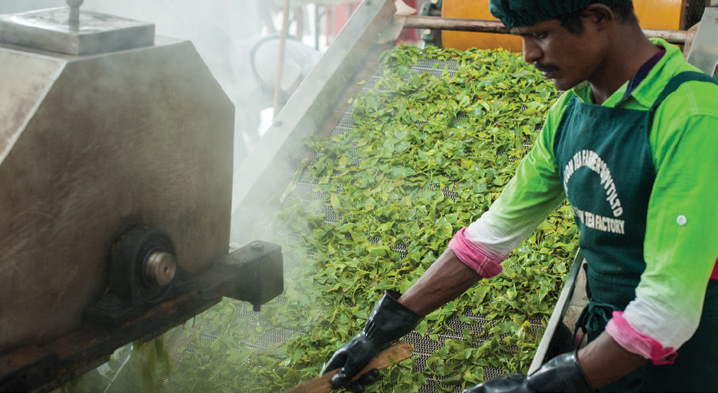 In essence, it follows a similar manufacturing process as black tea although the oxidation is for a very short time. Oolong tea is usually much darker and stronger in taste than green tea, but Oolong is lighter in colour than most black teas and usually has a more delicate taste. Rolling the withered leaves begins the process of oxidisation by rupturing the leaf cells, allowing the cell sap to mix. In this instance, a specially made “Moon Roller”, smaller than the conventional size was used.